Planetary Resources, the asteroid mining venture backed by director James Cameron and two partners at Google among other well-know investors, announced the company plans to launch exploratory spacecraft within two years and a few years later could extract valuable materials from visit near-Earth asteroids. "This company is not about paper studies," said Eric Anderson, who co-founded Planetary Resources with fellow commercial spaceflight advocate Peter Diamandis. 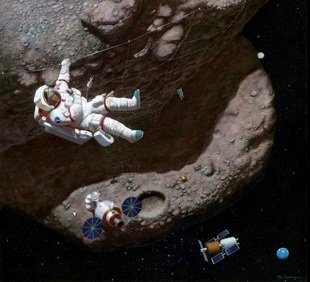 "It's not about thinking and dreaming about asteroid mining. 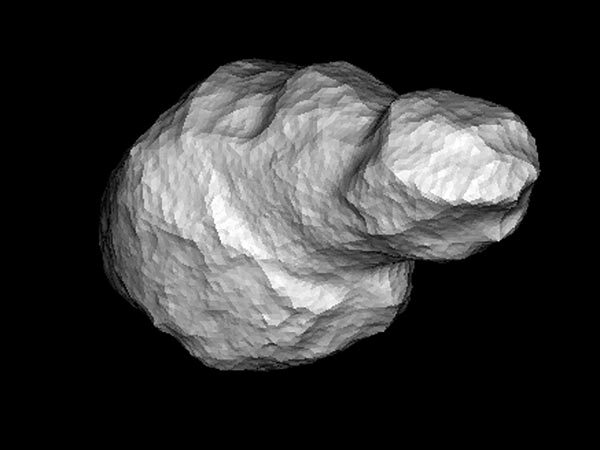 A giant asteroid will make a flyby of Earth mid December 2012, and armchair astronomers can watch the action live on their computers.The near-Earth asteroid 4179 Toutatis, which is about 3 miles (5 kilometers) wide, will zoom within 4.3 million miles (7 million kilometers) of Earth during its closest approach early Wednesday morning (Dec. 12). That's too far away to pose any impact threat on this pass, but close enough to put on a pretty good show through top-notch telescopes, researchers say. December, 2012 marks the 40th anniversary of the Apollo 17 launch, the last manned mission to the moon. Most of the time, we think of those missions as directed outward, an exploration of space and a thrilling chance to get closer to the vast rest of the solar system. But the photos the astronauts took looking back toward Earth are informative, too, in a very different way. They provide a different perspective on our planet -- a blue marble floating alone, marvelous and fragile. 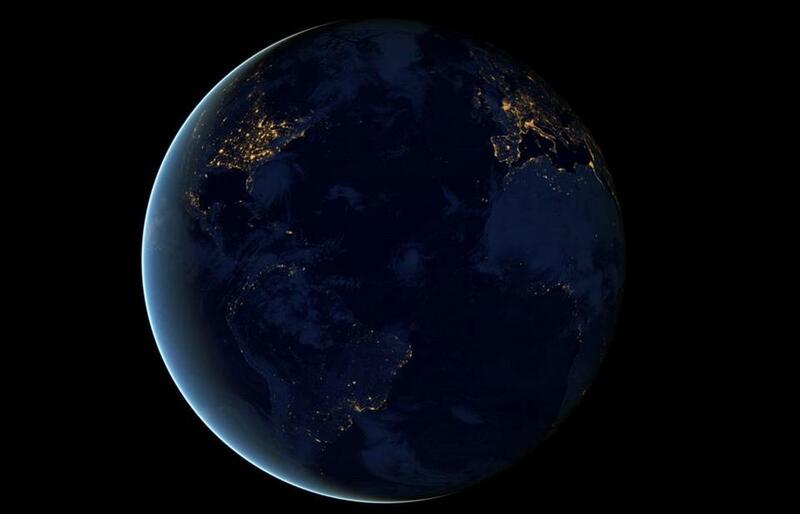 Now, NASA has released new photos of the Earth at night, taken by the Suomi NPP satellite earlier this year that show the planet as a black marble, not a blue one. These fabulous images looking down at Earth also provide a unique perspective. This time, it's not just a beautiful swirl of clouds, but delicate pinpricks of light that outline human civilization. They remind us how pervasive and clustered we all are -- and how much light spills out of our cities and homes -- but also suggest just how little space we take up in space. This image, captured on November 27, 2012 by NASA's Cassini spacecraft, stares into the storm's sinister eye from 361,000 kilometres away. The spacecraft observed in infrared wavelengths, which can peer through the top layer of clouds to reveal the complex texture beneath. 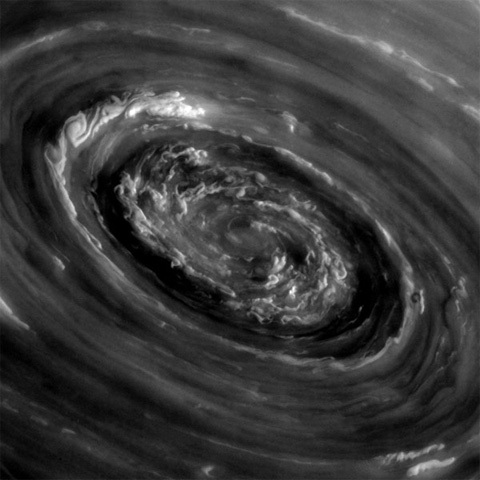 In 2007, the Cassini team saw a huge hexagon-shaped structure about 25,000 kilometres across stretching over Saturn's north pole. But the planet was in the depths of its 15-year-long winter, when sunlight does not fall on the pole, and it was too dark to see what lurked within the structure. Spring lifted the gloom in 2009, and now the team has spotted this vast storm at the hexagon's core. In a secret project recently discovered, the US planned to blow up the moon. It may sound like a plot straight out of a science fiction novel, but a U.S. mission to blow up the moon with a nuke was very real in the 1950s. At the height of the space race, the U.S. considered detonating an atom bomb on the moon as a display of America's Cold War muscle. The secret project, innocuously titled 'A Study of Lunar Research Flights' and nicknamed 'Project A119,' was never carried out. 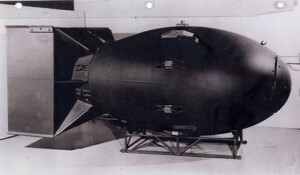 In a secret project recently discovered, the United States planned to blow up the moon with a nuclear bomb in the 1950s as a display of the country's strength during the Cold War space race.